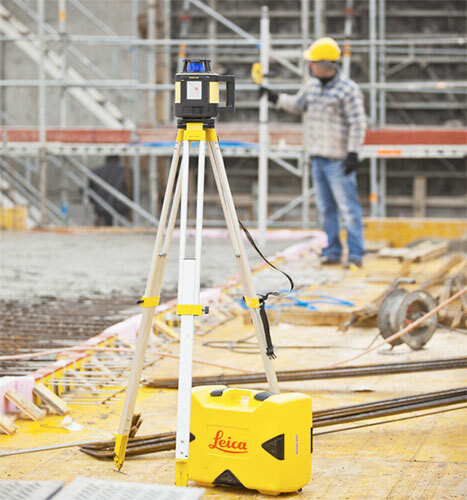 The Leica Rugby 810 is an amazing one button horizontal laser level designed to eliminate user error. 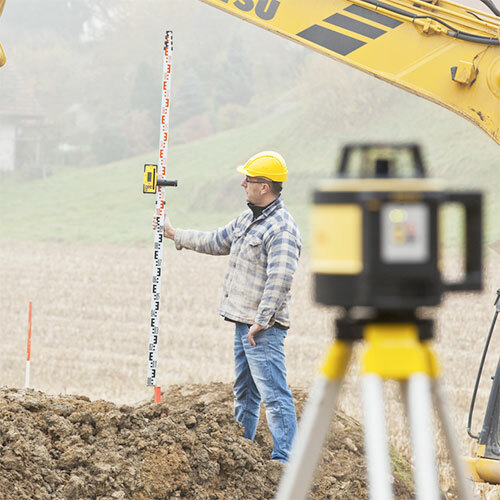 Featuring a working range of 800m, unique unbreakable Li-Ion Battery, optional solar panel and in-car charging and its industry leading IP68 water & dust protection make this the toughest laser level available on the market. One-button self-leveling horizontal rotating laser. Single slope grades up to 45 ° with optional manual slope adapter. Toughest laser level on the market - IP 68 water & dust protection. Unbreakable Li-Ion Battery with easy charge options. 2-Year Knockdown, 5-Year Free and lifetime manufacturers warranty. Market leading laser detectors with 12cm detection window. 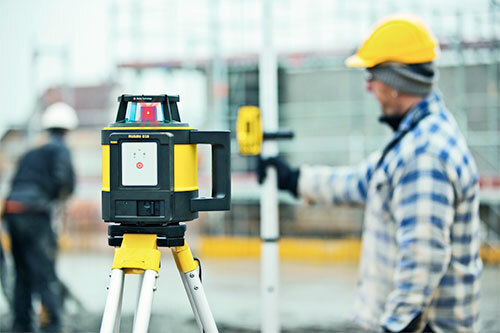 When pouring concrete you require a robust laser level able to withstand the harsh conditions encountered. The Rugby 810 is the ideal choice due to its incredible accuracy and simple one button set up. 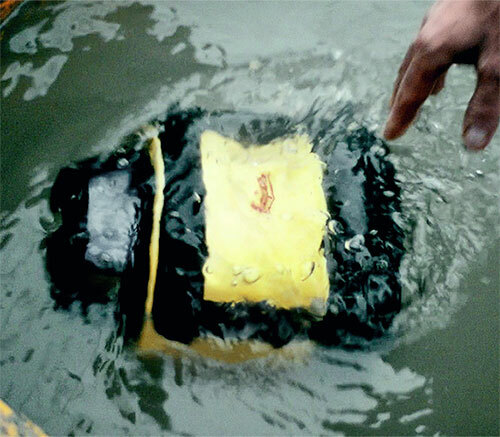 You can even completely submerge the laser into a bucket of water to clean off any concrete you may get on the tool.. When setting up formwork the new Laserman Rod-Eye 160 Laser Detector is the perfect partner for the Rugby 810. With its Digital readout this new laser detector displays the distance in (mm) needed to adjust the formwork to obtain the correct level eliminating the need to move the detector on the staff. . When leveling sites the Rugby 810 features a working range of 800m and the new range of laserman Rod-Eye laser detectors allow you to find the laser even easier with their industry leading large detector windows. 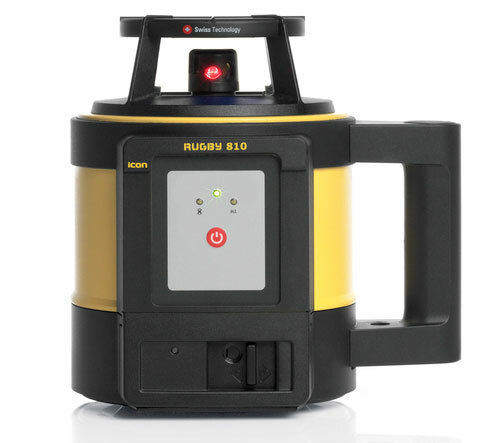 When accuracy is paramount the Rugby 810 laser level delivers. Both the Rod-Eye Laserman 140 or 160 laser detectors available with this model feature a 12cm detector window twice the industry average. IP 68 protected and the only laser in the market with Military Grade Certification mean these lasers can even be submerged in water. 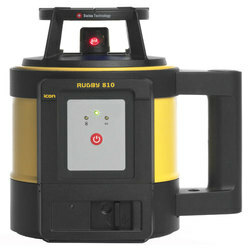 Rugby 810 Horizontal Laser Level Package - Includes Leica Rod-Eye 140 Receiver & Bracket. 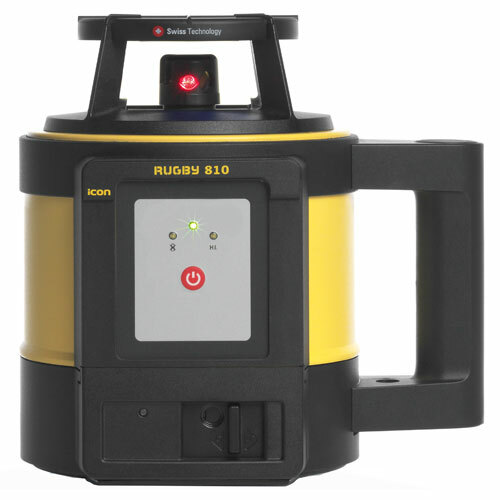 Rugby 810 Horizontal Laser Level Package - Includes Leica Rod-Eye 160 Receiver & Bracket. The ROD-EYE Family of Sensors offers solutions for any generalconstruction and interior application, and are ideally matched to work with the RUGBY Family of Lasers. They are construction-tough, designed to work in harsh, loud environments. The Leica GST103 is medium-duty tripod and is fitted with carrying straps and side-clamp screws. It is recommended for levels, lasers, construction theodolites and targets.This Tripod was formerly known as the CST103.